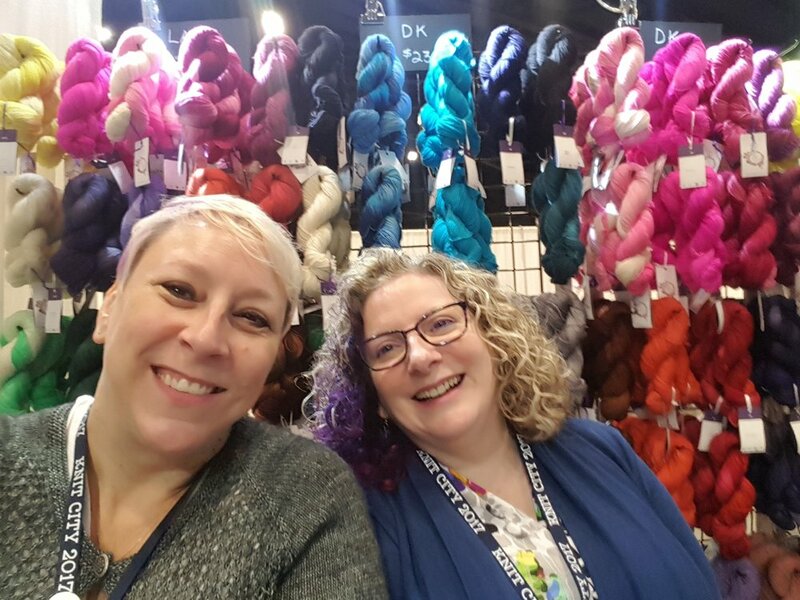 My first year at Knit City Vancouver has come and gone and it was a blast! Super busy, but so amazing! I got to see and talk to so many people in person instead of just through email and social media, and I love that! That's the only drawback to being an online store... I don't get to interact with my people in person. 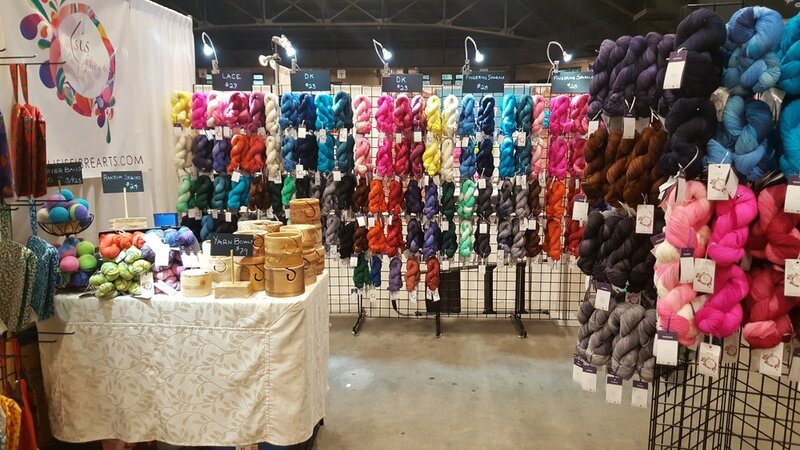 I do get to see some of you at the Penticton Market, but not nearly enough, so a bigger venue was perfect. Setup went pretty well thanks to my awesome Knestie Kim, who I couldn't have done the show without. 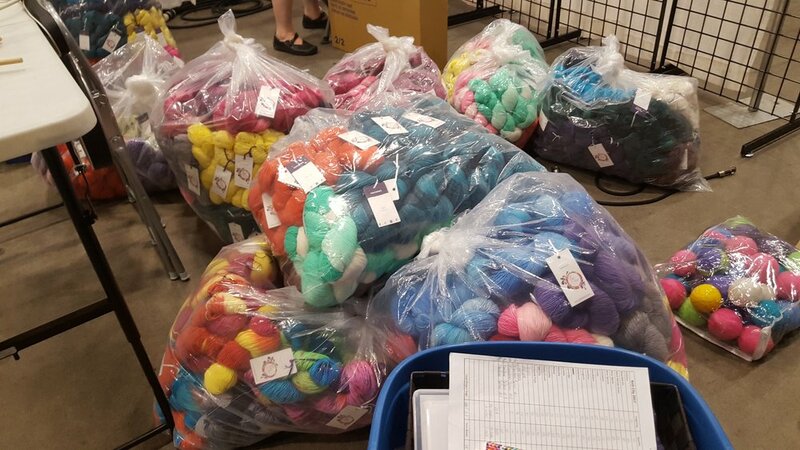 Even with a dolly, it took us a while to haul everything in from the van, and then there were all the bags of yarn to put on racks... after we decided on where everything was going to go. 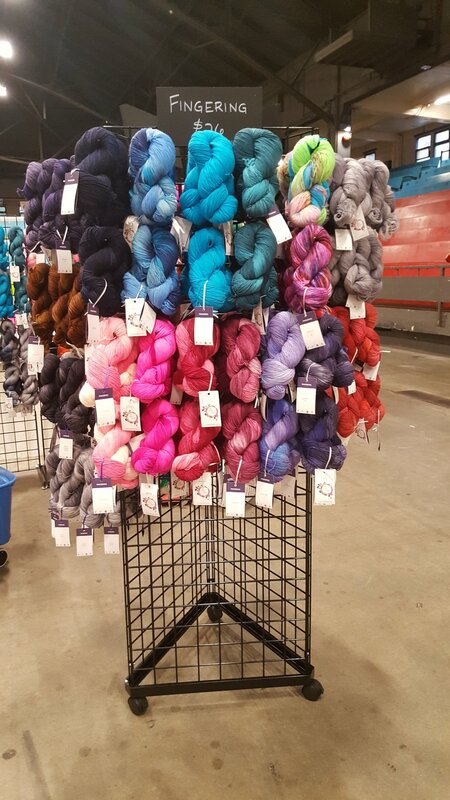 I was pretty happy with the way the booth turned out though... so colourful! 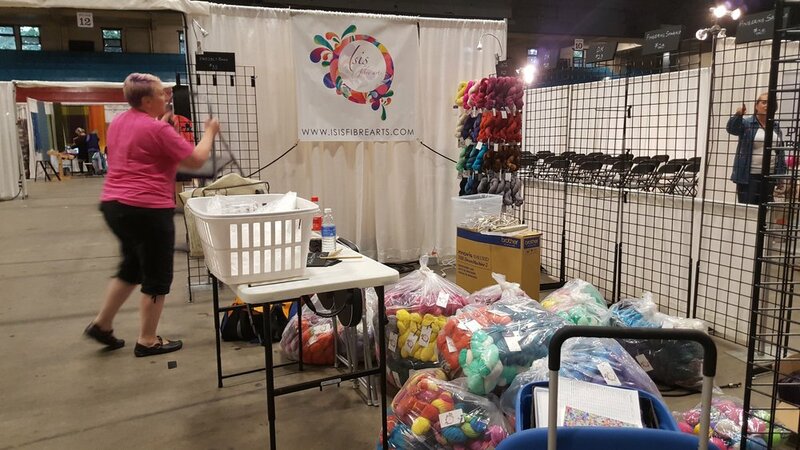 It was kind of sad to pack up and go after all the excitement, but we'll be back next year for sure!